WINTER CHALLENGE RECAP FROM Dwight Shuler, 2016 Men's CHAMPION! It didn’t always used to be like this. Back in ‘the day’, anytime I toe’d the line, I had every reason to believe that I belonged, I would be competitive, I had just as much of a chance to win as the next guy. As the years roll by, lately, those positive vibes have been replaced with doubts, lack of motivation, and a strong pull to just hang out and open a beer. I’ve had some great years of racing. I won a few, lost a bunch but have always been ‘in the game’. I realize that we all eventually slow down and there is ALWAYS someone faster than you. It’s just part of the game. That’s why I was extremely elated to regain that competitive feeling, if just for a brief moment, at this past weekend’s Winter Challenge Triathlon. 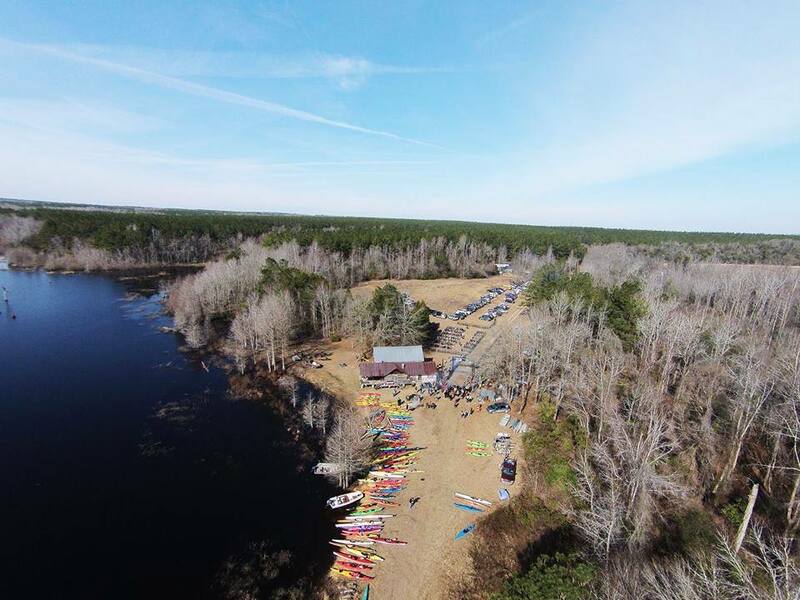 Located in the low country, South Edisto river wetlands near Springfield, SC, the Winter Challenge (WC), is the vision and creation of Chris and Michael Williams. They, along with their entire family, open up their farm and home to several hundred racers, friends and families for a weekend of off-road racing, camping and good old laid-back fun. 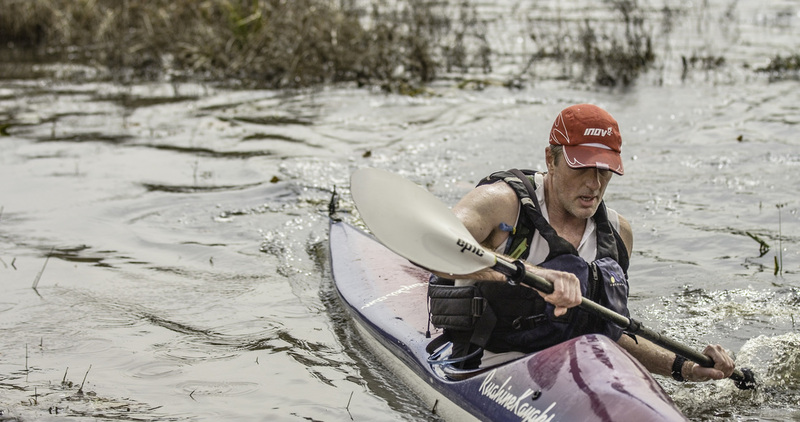 Along with a slightly less intimidating Off-Road Duathlon, the centerpiece of the day is the Off-road Kayak Triathlon. 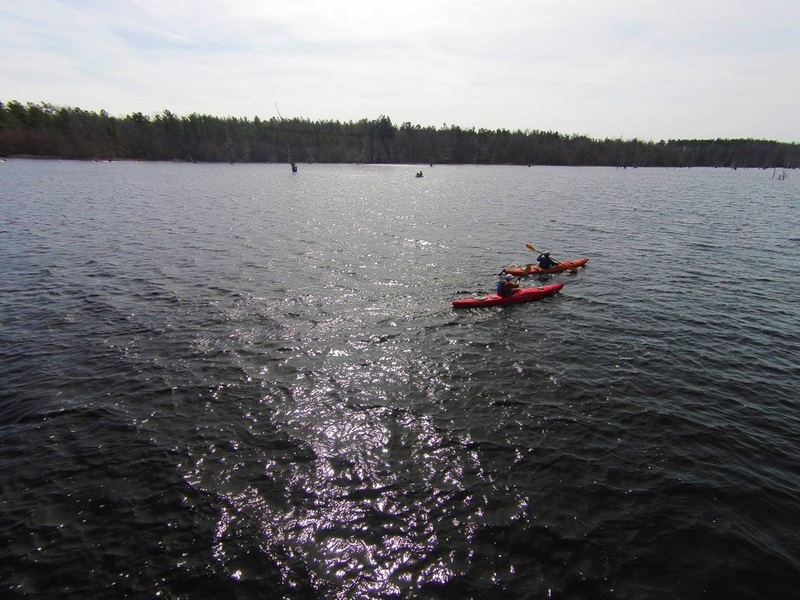 Billed as “23 miles of racing bliss”, this bad boy offers a Run-Kayak-Bike format across a beautiful and private landscape of swamp, lake, double track road to wooded tight and twisty and flowy single track trails. The duathlon, run-bike-run and about 16 miles, runs pretty much the same course sans the kayak portion. Both are fast, tough and full of adventure. 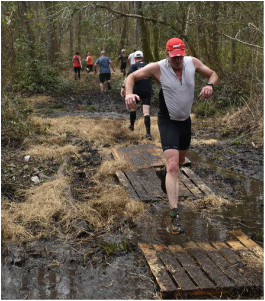 Read the rest of Dwight's Race Report over at Endurance Zone. First race of 2016 is in the books and it was a great one! Dwight has talked a lot about The Winter Challenge since we’ve been dating and was totally bummed when he couldn’t do it last year since we were doing that whole living in Germany thing. So being back in the states this year, we were in for sure. So, what exactly is The Winter Challenge you might be asking? Well, it’s an off-road kayak triathlon and duathlon. The triathlon is a trail run, kayak and then mountain bike. The Du is obviously trail run, mountain bike and then trail run. Dwight did the triathlon, I did the duathlon and it was my first ever one and my first ever off-road race. Seriously. Head this way to read the rest of Susan's excellent accounting of the day's excitement. 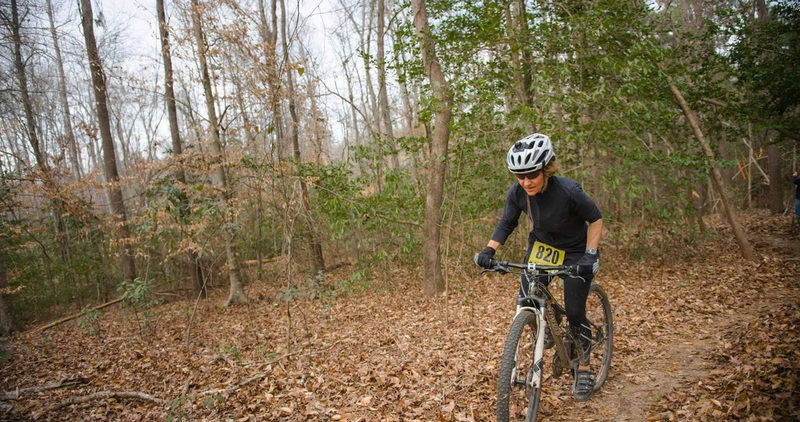 Winter Challenge Recap from Suzanne Mika, 2015 Women's Champion! The Winter Challenge has become one of my favorite races of the year. I would like to extend a big thank you to Chris and Michael and the rest of the Williams family for their hard work putting on this event. After my first Winter Challenge in 2011, I challenged myself to maintain a fitness level that would enable me to do this race every year for as many years as possible. It is the perfect endurance test for me. It is the only race in which I feel like I am smiling the entire time, except for maybe on the third lap in the kayak! The weather for Winter Challenge 2015 was perfect. I had been anxiously watching the weather forecast, hoping for calm winds, no rain and cold temperatures. I was not disappointed. It was great to see so many familiar faces and to meet a few people who were there for the first time. I love the run course, especially coming back over the dam with a great view of the water. I even love the mud! I usually run straight through it, figuring that my shoes are going to get wet and dirty at some point during the race anyway. After I sunk to my knees and almost lost a shoe, I decided to be more careful. After the last mud pit, my shoes were caked with sticky mud and felt 5 pounds heavier. I wondered if I would be carrying that extra weight for the remainder of the race. The mud either fell off or I got used to it, because I soon forgot about it. With some great timing from the Black Keys and Santana, I made it through the long open uphill stretches with a smile on my face. I felt energetic and had no pain as I turned onto that dirt road back toward transition. As I started off in the kayak, I was optimistic that it would be easier than in previous years due to calmer winds and my improved technique. I always feel more like a spectator than a competitor during this part of the race as I marvel at how fast everyone is passing me! It gives me the opportunity to study their paddling technique and wonder how the heck they are going so fast. When Leslie passed me, I shouted, “You are passing me ALREADY?” We both laughed. Despite the difficulty, I love being on the water and appreciate the incredible natural beauty here. I remember my first Winter Challenge where the logs and trees lurking just below the surface of the water made me so nervous. Now I know that most of them move when you hit them! When I got back to shore, I had a flashback to last year’s race where I struggled in the brutal wind and was totally wiped out. I remembered the volunteer who pulled my boat up on the bank said to me, “Why did you do that third lap? You know you only had to do two.” I totally believed him until he started laughing. As I ran to transition, I laughed and looked back at him and yelled, “I’m going to find you after this race and kill you!” After the race, I couldn’t quite remember what he looked like, so he lived. The only good thing about the third lap in the kayak is the anticipation of getting to ride my bike. I love this bike course, and I’m pretty sure I had a big grin on my face the entire time. The trail was in perfect condition this year and had some nice changes. I love riding through that big mud puddle every year. This year, the splash of the cold wet mud all over my back was invigorating. When I passed Leslie on the bike, she shouted, “You are passing me ALREADY?” We both laughed (I think). This year, surprisingly, I did not feel like I was pedaling through quicksand during the first couple of miles. It seems that all the time I spent in my favorite places - Paris Mountain, DuPont, and Paynes Creek - last year made me stronger on the climbs and a little more confident on the downhills and corners. But I still haven’t learned how to ride in the sand. As I rode, I realized how much progress I have made since my first Winter Challenge in 2011 when I had my first crash on a mountain bike. I had gotten my first mountain bike a few months earlier and had just started clipping in. As I was in the middle of a short, steep ascent, I found myself in the wrong gear with too little momentum. I started falling to the left and couldn’t unclip fast enough. I lunged for a tree and grabbed it just as my bike pulled me down the steep ravine. I felt a sharp pain in my calf and screamed. I laid there for 5 or 10 seconds, the pain disappeared, I got up, dragged my bike up to the trail, got on and started riding again. With that surge of adrenaline, I probably rode faster than I ever have. Since then, every time I pass that place on the trail, I smile and remember my first crash where I learned that crashes on a mountain bike can be fun and exhilarating! I also love the clever trail signs on the course - weren’t there more of them this year? My favorite one was “Homestretch.” I love that fast flat finish especially without the anxiety of having to jump the hay bales at the finish line. When I crossed the finish line this year, I had no idea that I was the first female in the triathlon to finish. It was a pleasant surprise when Chris gave me the news. Would I change anything about the Winter Challenge? Well, maybe two things: make the kayak one lap and make the bike 20 miles. Not really. The race is perfect the way it is. I just need to learn how to paddle! 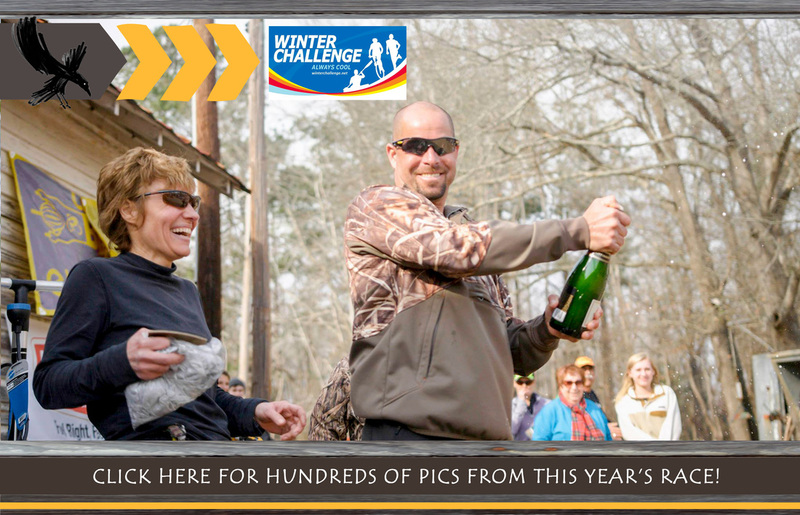 Winter Challenge Recap from Chuck Hiers, 2015 Champion! I got up along with my two boys Landon and Garrison (both begged the night before to be woken up), loaded up and headed to Dome Farms. As we crossed the river my boys reminded me that in the past we have listened to Guns N Roses for a little motivation… so we loaded up a little Welcome to the Jungle and that took us right to the cabin. As I told a handful of fellow racers I was a little scared and very nervous, not knowing what to expect from the race. So all of a sudden it's that time, and we're at the starting line and it's time to release the butterflies. 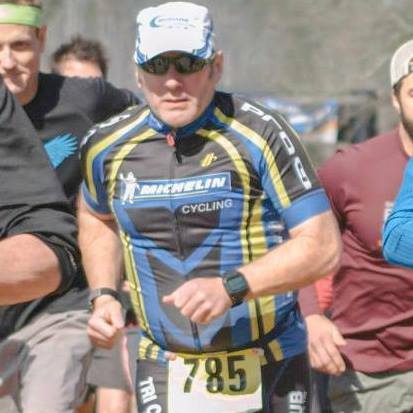 We start, and aside from a swamp rabbit named Sean, who is way too fast and out of site within minutes, I go out too fast only to be caught by John Wellens and two other guys within a mile. I just start thinking to myself that this is what I expected. So I settled in at a pace that was as much as I could handle without blowing up and hitting that thing called the WALL. I almost threw in the towel once I got passed but I could see as we kept racing, that the several guys in front were only 25-30 seconds out (aside from Sean who had already run a mile out of the way and still managed to pass us again). At this point I’m thinking of my son Landon who I’m constantly reminding, you don't have to be the best but you do have to give it your best - always! So I started pushing into the pain cave to keep it close. Coming down the dirt road to the cabin all I could think was get me in my boat so I can get off my feet. Once in the boat I found myself in fourth place, which was honestly a surprise at this point. Within a couple more minutes I'm shocked that I’ve captured second place and can actually see the leader. All of a sudden I'm behind the leader and make the pass. I think to myself at this point that if there’s any chance to hold on, then I have to push as hard as I can to build a lead because once on the bike I will certainly lose time to whoever’s on my heels. Now my arms are cramping each time I paddle and my mouth is as dry as if I had eaten 3 persimmons. If you have not eaten a persimmon, I can tell you that it's the equivalent of taking all moisture out of your mouth with a vacuum. But I just dug a little deeper and kept going. I passed Brian Curran (of Outspokin’ Bikes and a good friend) and told him I was cramping bad and he said to spin for the first two miles on the bike to help recover a little. Just out of the water, my friend Walter asked me how I felt and I recall saying that I had no legs left. I started biking, taking Brian's advice with a high cadence for the loop around the pond. Once across the highway I did what you should never in a race situation, and I did it very often... I kept looking back. If someone caught up, I was done for, since each time my pedal came up a cramp in that left or right calf came with it. As I got closer to the finish I realized I may actually have a shot at this. With about a mile to go I started pushing as hard as possible. If anyone was hiding in the woods they’d be witnesses to my yelling out load at this point. Once I crossed the paved road, Ozzie Osborne came to mind... Mama I'm Coming Home! Crossing the finish line was an awesome feeling because although it took way more than I thought I had, I dug deep, pushed through and made it happen. 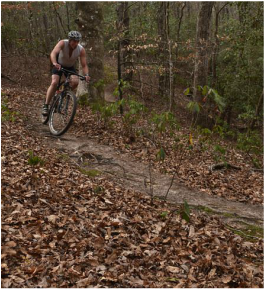 The course this year was in great shape, and the run and bike trails were awesome. Still, the best thing about the Winter Challenge is seeing all your old friends and fellow racers year after year. Read the rest of Nicole's excellent report at her blog. Last weekend, for the 5th time, I lined up at the start for the XII Winter Challenge. This is truly my favorite race. I absolutely love the multi-sport events, and this one is very special. Why is it special? Perhaps many reasons, but one reason is because of the Williams Family and their own love of the race. Get the rest of John's story over at his blog.